There's still time to whip things up for Christmas! 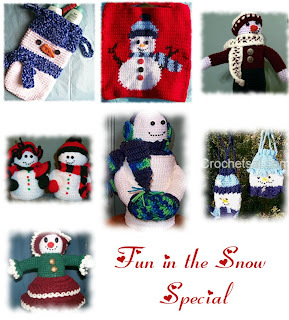 For a limited time, I'm offering a set of 8 crochet patterns for more than 30% off their regular price (one pattern is not shown--my Snow Family Ornaments). Separately, they sell for over $14, the set is on sale for only $9 until December 5th, so hurry to get them while the price is low!